At Horses of Hope the staff has more than 100 years of combined experience in the field. Our therapeutic riding instructors are all certified or are in-training through the Professional Association of Therapeutic Horsemanship (PATH INTL). The majority of the Horses of Hope staff members are at Level 1 certification through the Equine Assisted Growth and Learning Association, and continue to grow professionally through continuing education opportunities. McColm brings nearly 30 years of experience to Horses of Hope. In the world of therapeutic riding, she is sought as a presenter and speaker on a national level. McColm is a two-time graduate of Kansas State University with master’s degrees in human development and family studies. McColm is educationally prepared to fully understand and work with the needs of the clients, their families, volunteers, and the staff in the many programmatic offerings at Horses of Hope, including certification completion. Preparedness met opportunity as the many years served as a Cooperative Extension 4-H Youth Development Specialist and an Educational Cooperative Specialist experiences supported her commitment to co-found and develop the successful therapeutic riding program – Horses of Hope Riding Center Inc. nearly ten years ago. McColm has a commitment to provide unique, innovative and invaluable programming while helping people of all ages and bringing enhancement and enrichment to local communities. Sweeton has committed her life to exploring the connections between human and horse. 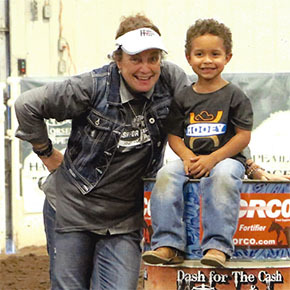 She is the co-founder of Horses of Hope Riding Center Inc. She has been a PATH registered instructor since 1997 and a PATH certified driving instructor since 2002. She has obtained the Level 1 Certification with the Equine Assisted Growth and Learning Association. She is sought as a presenter on a national level and has consulted and appeared in numerous national publications such as: Western Horseman, The Trail Less Traveled, Quarter Horse Journal and The Trail Rider. 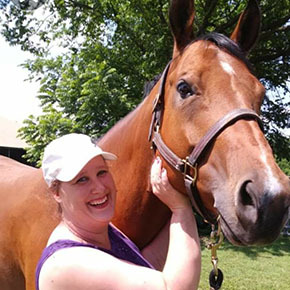 Part of her desire and commitment to improve Horses of Hope involved going back to school to earn an associate degree as a physical therapist assistant. Sweeton earned her degree in July 2007 and currently holds a permanent license as well as being an American Hippotherapy Level 1 Therapist. Her college studies included how the horses’ movement normalizes the movement of a person with movement dysfunction. 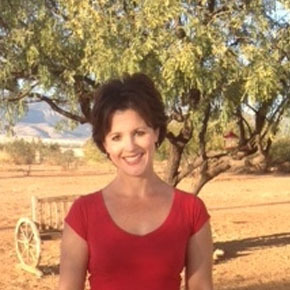 Shannon Stewart was born in Hampton, VA and spent 40 years living in Southeastern Arizona before moving to Bolivar, Missouri in September of 2013. She began taking riding lessons at the age of 4 in Tucson, AZ and has been riding horses ever since. She got her first horse at the age of 8 and joined 4-H at the age of 9. 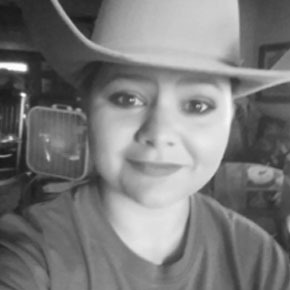 She began her 10 year horseshow career at the age of 10 in the Paint Horse circuit under the guiding wing of her trainer and mentor, as well as showing in open circuit and 4-H shows. She trained her horse to compete in Western and English Pleasure, as well as Trail and Hunter Jumper. 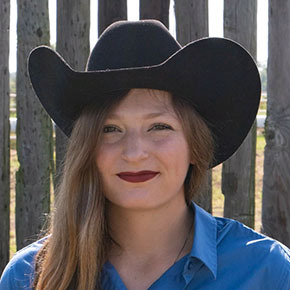 She went on to win various champion, reserve champion and high point awards while furthering her career in 4-H as an advanced rider, junior leader and eventually club President. She began instructing and training professionally at the age of 20 and in 2008 was certified as a P.A.T.H Int’l Registered Instructor. 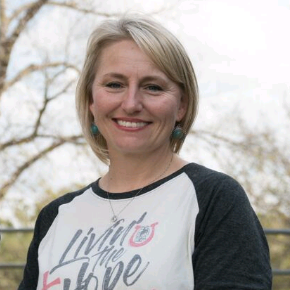 She also co-founded Hero Hearts EquiCenter Therapeutic Riding Center in Sierra Vista, AZ in 2008 and worked with adults and children with special needs, as well as active duty and military veterans and their families. . In March of 2013 she earned her Mind Body Wellness Practitioner diploma and is a certified holistic nutritionist, life coach, and hypnotherapist. She focuses on helping clients of all ages to heal mentally, emotionally, and physically and achieve happy, balanced lives. She began volunteering with Horse of Hope in November of 2013, and in March of 2014 was hired as a staff member and Equine Experiential Education Specialist. Jessica earned her Master’s degree in Clinical Social Work from the University of Denver (DU) in Colorado in 2014, earning her undergraduate degree in psychology from Missouri Southern State University in 2011. She is currently a Licensed Clinical Social Worker in the state of Oklahoma and is pursuing licensure in Kansas. She earned a Certificate in Animal Assisted Social Work while attending DU. She has extensive background in treating individuals with intellectual and developmental disabilities, as well as providing trauma-informed treatment. She is passionate about helping people find their strengths to overcome life’s challenges. 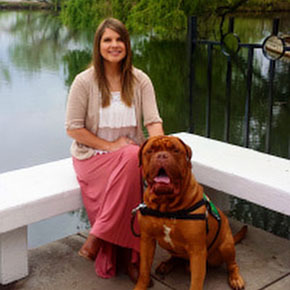 Jessica is a lifetime lover of all animals and believes that animals create a rich learning environment in treatment. She is Registered Level Certified Therapeutic Riding Instructor with the Professional Association of Therapeutic Horsemanship (PATH, Intl), in additional to Therapy Dog certification with Pet Partners. 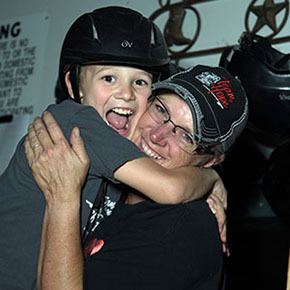 This special woman comes to Horses of Hope with a vast array of “life experiences”! Jennifer is a mother and primary care giver of eight children, ranging in ages from 5 years to 22 years of age. Six of Jennifer’s children are therapeutic riders and two of the five are a part of Show Team HOPE. Jennifer has a tremendous amount of “hands-on” knowledge regarding children with disabilities and the management of children with disabilities. Jennifer is always willing to lend a “listening ear” to many parents who may want to visit, learn, and network with others who may “row the same or a similar boat”, as we all learn to better understand their loved ones. Jennifer now works for HOH on a part time basis and is in the process of obtaining her PATH Int’l Registered Level certification, to aid HOH as we continue to grow in our mission of providing HOPE to others. Horses of Hope captured the opportunity to take an outstanding young volunteer and invite Morgan to serve as a part time staff member for HOH. She brings a wealth of horse experience from her youth, her 4-H horse membership, and her raw love and innate talent to work successfully with horses. Morgan is a student at NEO and hopes to pursue a Physical Therapist Assistant degree. As a young woman, Morgan, brings a tremendous work ethic, an eager learner, and a love for the horses and their management. Hopefully, Horses of Hope will someday see Morgan as a PATH Int’l certified instructor. This full-time staff member is a PATH Int’l Certified Therapeutic Riding Instructor. She has been a lifetime horse owner and began her journey with Horses of Hope as a volunteer for six years. She has also worked as a vet med technician. Sarah brings to the HOH staff a passion and dedication for working with people and animals of all ages and all abilities. Her background in providing skilled care for small animals and equine enables her to see the importance of the animal/human bond. Nellie Ritzheimer began her involvement with horses at a very young age through the 4-H Horse Project. She has been a part of the Dallas County Homeschool community for 12 years. She began as a volunteer at Horses of Hope and has now grown to become a full-time PATH Int’l., Registered Level Certified Riding Instructor. She has spent many year working with a variety of horses and riders of all ages and abilities. This young lady has truly grown up loving and riding horses and now working at Horses of Hope, all over fifteen years. She started with us as a summer camper, moved into therapeutic riding lessons, onto the Show Team Hope and for the past several years, as a young woman, has worked part time for Horses of Hope. She serves as a “right hand girl” to Vallerie, doing many critical jobs on the farm with horses and horse care, and within the therapeutic program, with horses, riders and volunteers. Jessie was a very successful Show Team HOPE competitor, serving as the most winning Rider with Disabilities on the national level for many years.